Our requirements system is designed to work whichever type of workflow your company uses, no matter how simple or complex it is. 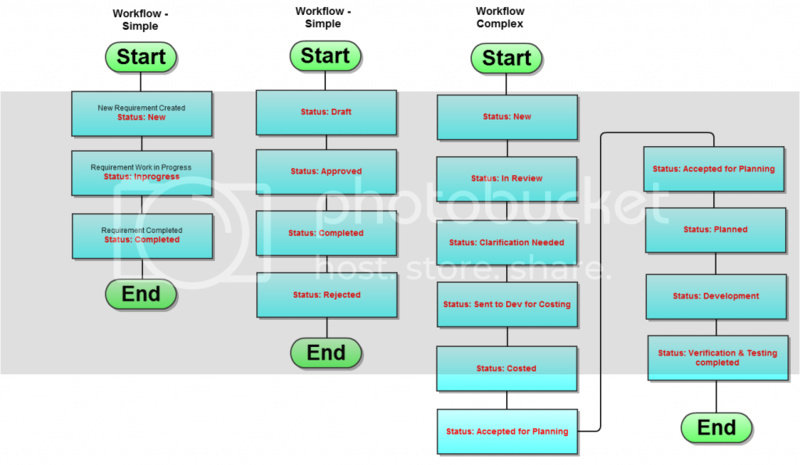 Below are some examples of workflows which OneDesk’s requiremetns system supports. OneDesk comes with these workflow statuses. You can choose to edit or remove these statuses. 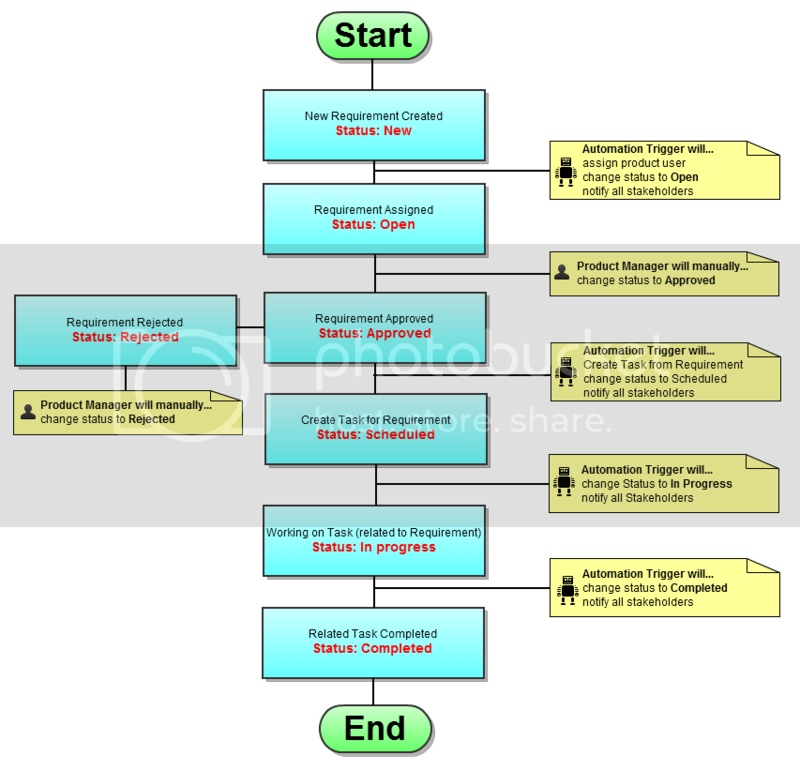 Each workflow status update triggers a certain default automation, as seen below. You can choose to modify or remove automations as well. Got questions about OneDesk’s requirements system? Ask away!